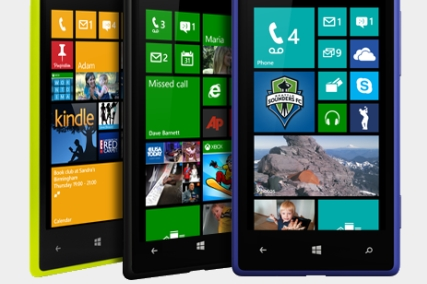 Nokia's Lumia 928 now has a low-light theme park test to go along with all the teasers! Nokia's Lumia 928 is now all but announced, but that doesn't mean we can't check out some of the features of the new device. To that end there's a new video on the internet which we assume will be used as promotional material for the new flagship device. As you can see in the video embedded below, Nokia have spent an evening at the Adventureland fun park in New York. They conducted a couple of tests of their new flagship for Verizon and the Samsung Galaxy S3 and the iPhone 5, with the central idea being to highlight how well Nokia's optical image stabilisation works, whilst simultaneously showing the low light performance of the camera. Seeing as they were at a theme park, the obvious place to test the devices was on the rollercoaster! In the interests of fairness it's worth mentioning that Nokia used the Galaxy S3 because they conveniently filmed the video before the Galaxy S4 was available, but to be honest the fact that they're testing it against last year's flagships doesn't matter too much, because it's obvious that the Lumia has good low light and image stabilisation capabilities. Seeing as we know so much about this device already Nokia will basically round out the spec sheet on the 14th of May and they'll tell us whether or not the Lumia 928 will be a Verizon exclusive or if it will arrive in the rest of the world too!